Braden began his Honours Bachelor of Arts with Specialization in Geography in September 2014 at the University of Ottawa. 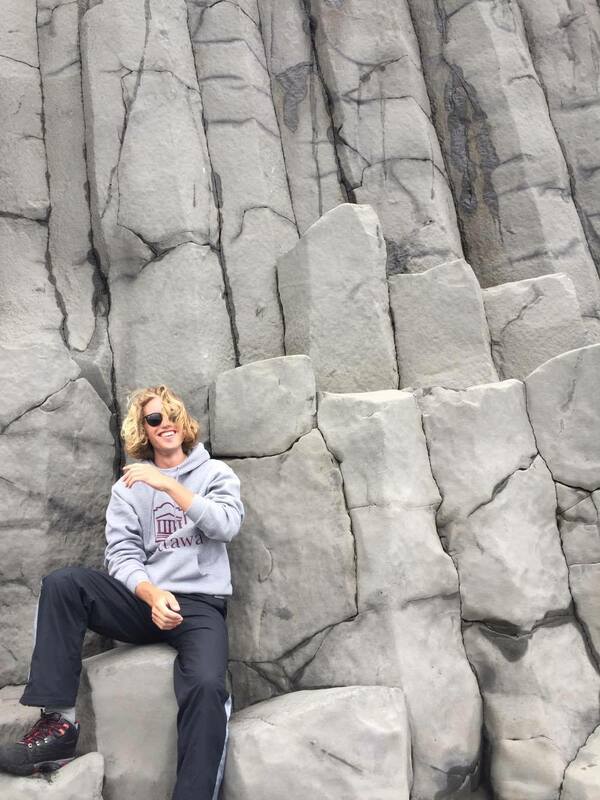 During his undergraduate degree, he developed a keen interest in cryospheric studies and remote sensing during a field course in Iceland. Here, he studied and analyzed one of the world’s largest proglacial lakes, Jökulsárlón, located at the terminus of the Breiđamerkurjökull Glacier. He plans to complete his BA in the spring of 2018, after which he aims to start graduate studies. Currently, he is in the process of completing his undergraduate research thesis under the supervision of Dr. Luke Copland. The focus of this project is to construct the longest temporal record (1899-2017) of a glacier within the Canadian Yukon. Focusing on the Kaskawulsh Glacier, a bank of data will be collected from Landsat imagery, historical photography, digital elevation models, and Lidar data, in which he will analyze: 1) the advance and reduction of the terminus, 2) the fluctuations in volume, and 3) the change in velocity of the Kaskawulsh Glacier. He aims to complete this project in the spring of 2018. When not at the university, Braden enjoys travelling across the world, hiking in Gatineau Park, and water skiing in Muskoka.